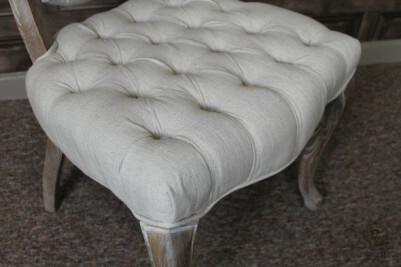 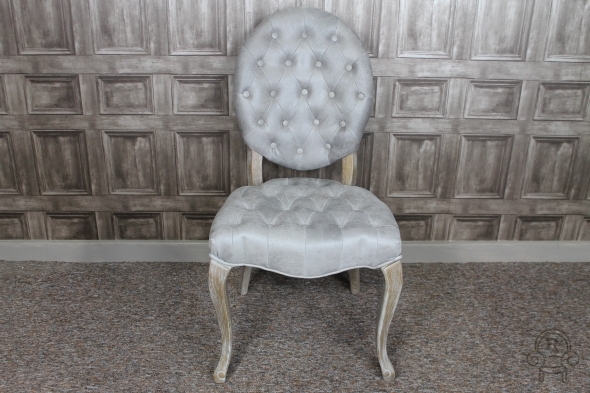 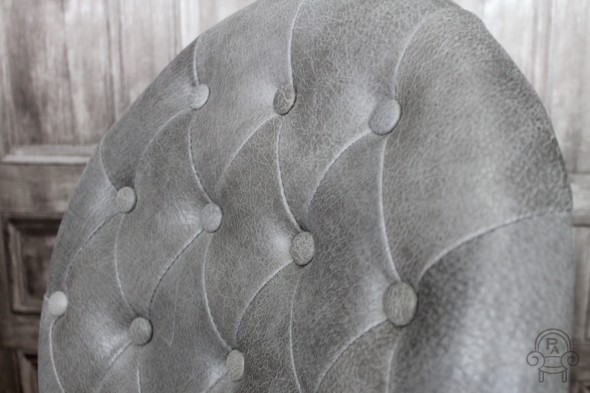 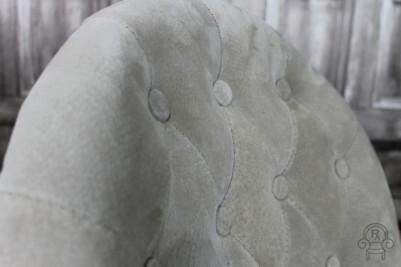 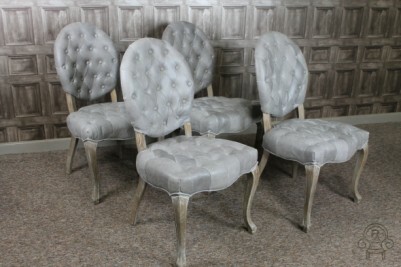 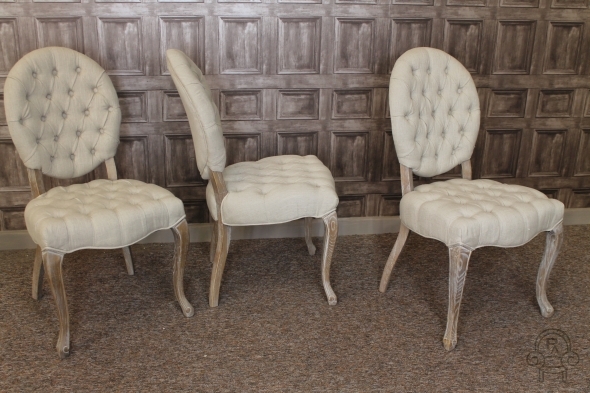 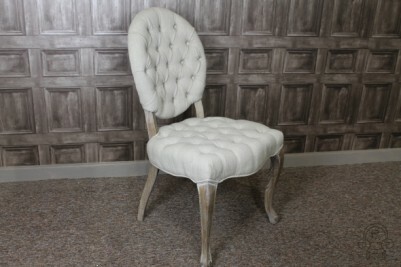 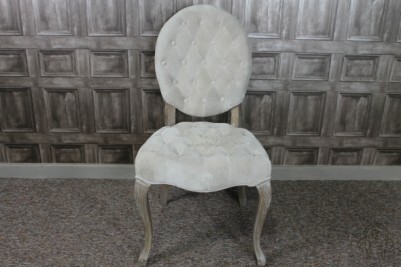 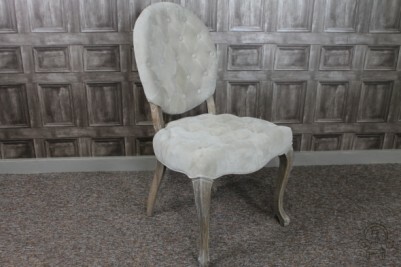 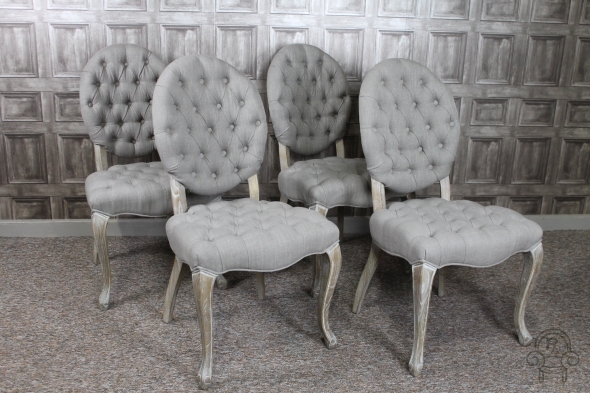 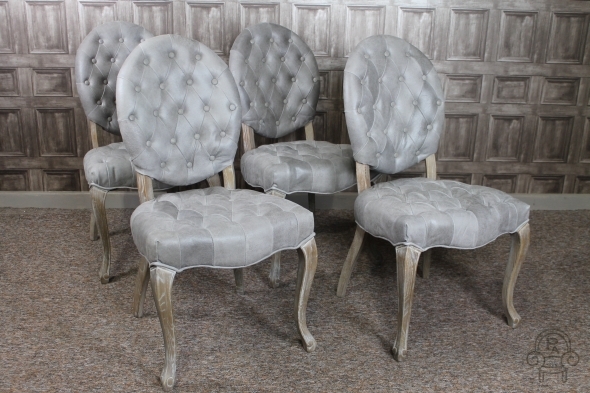 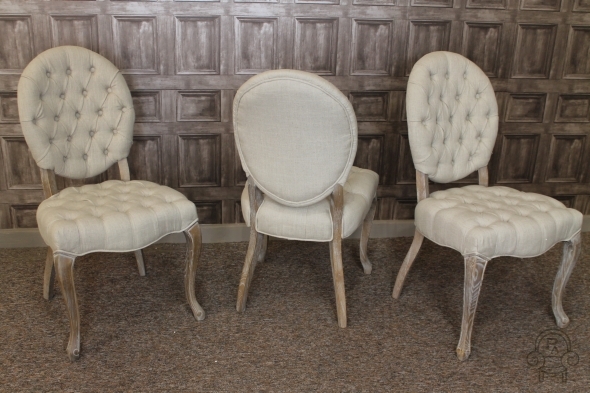 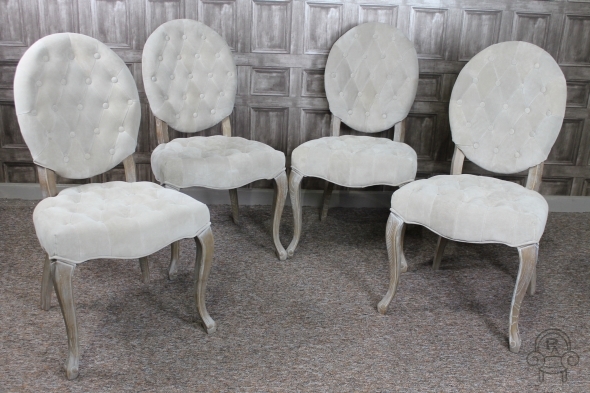 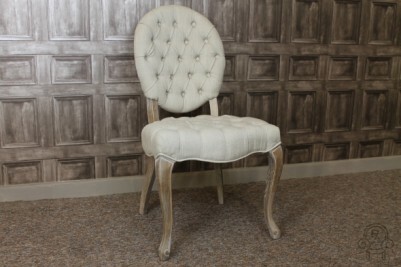 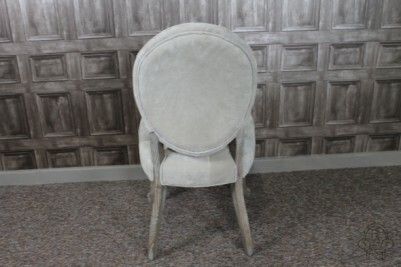 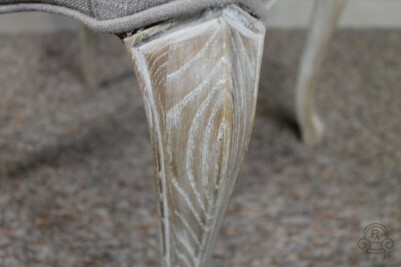 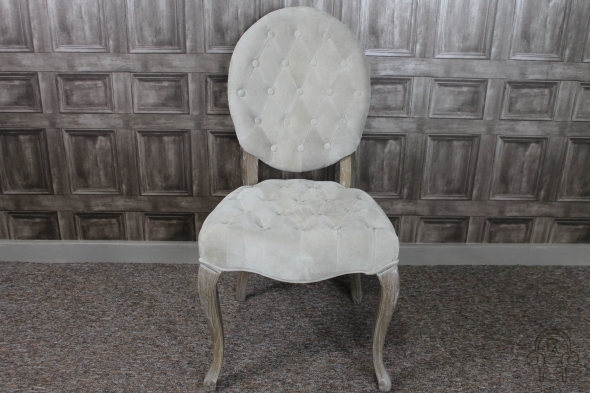 These elegant upholstered chairs are the perfect items to add a touch of class and luxury to any interior. 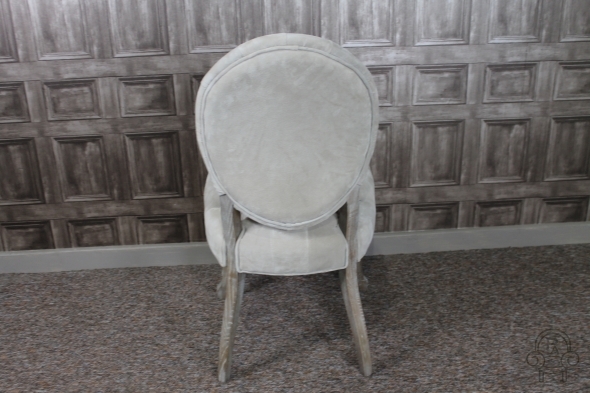 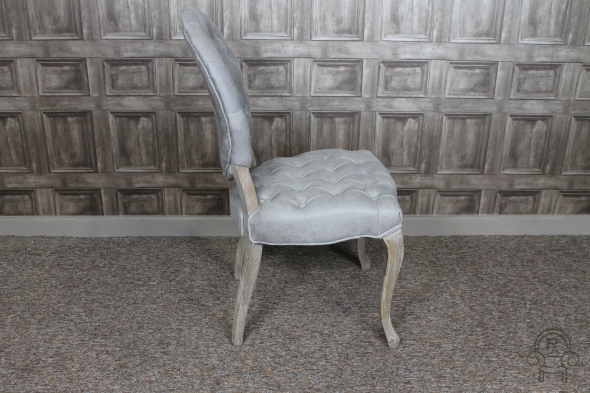 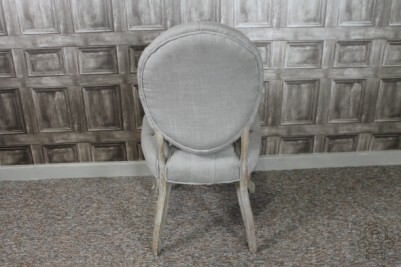 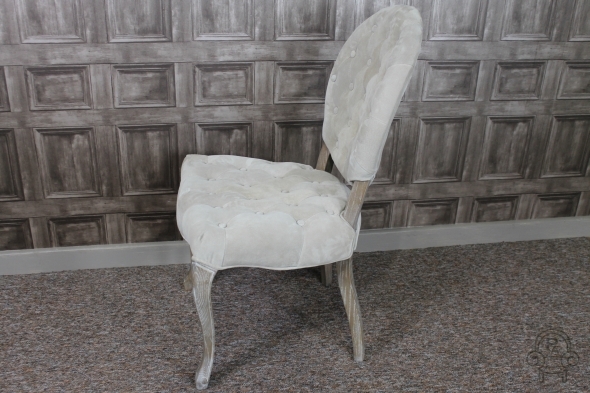 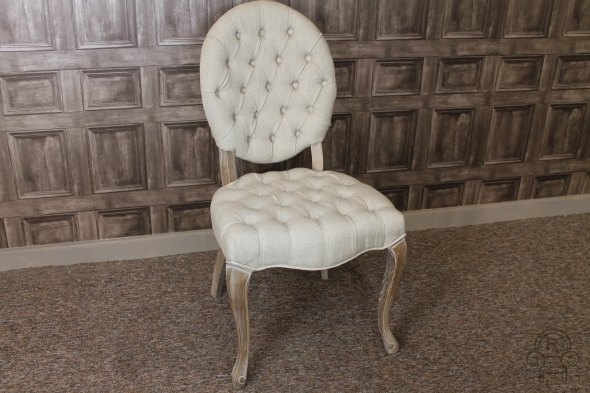 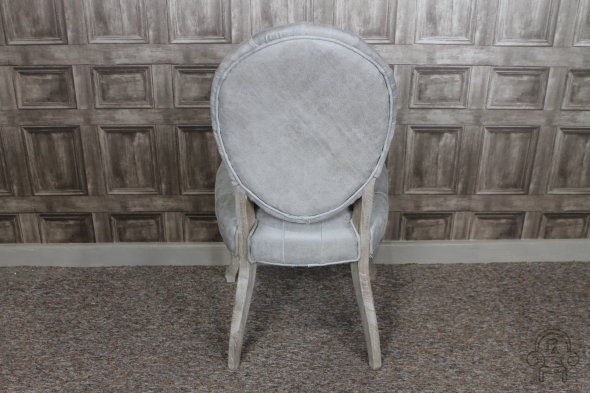 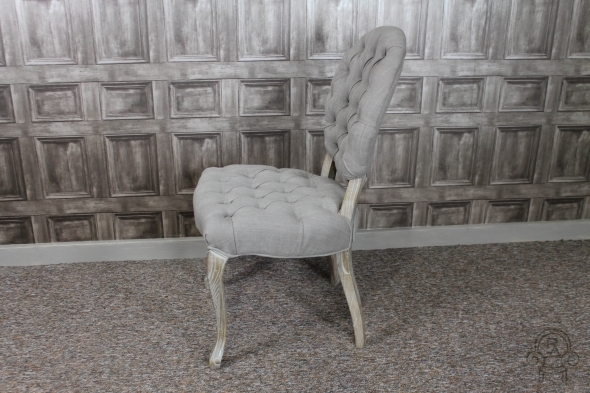 Just one item from our wide range of upholstered furniture, this French style chair is based on an 18th Century Rococo style. 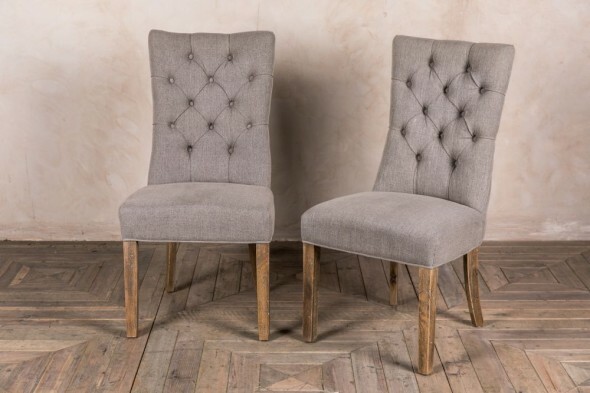 The 'Alice' chair features elegant cabriole legs, which have a limed and distressed finish, and has a beautiful buttoned back and seat. 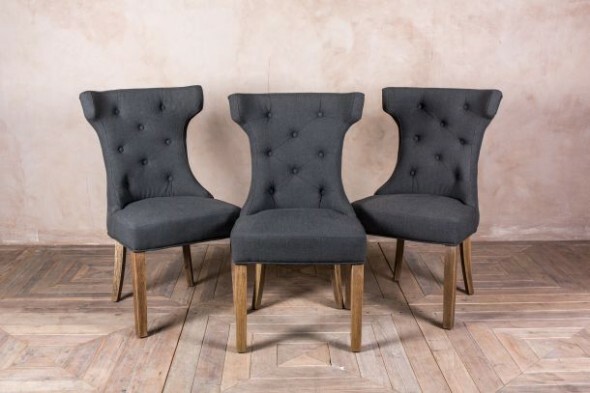 A luxurious addition to any interior, the 'Alice' upholstered chairs would look great in a French style cafe or bar, or in a large dining room or bedroom. 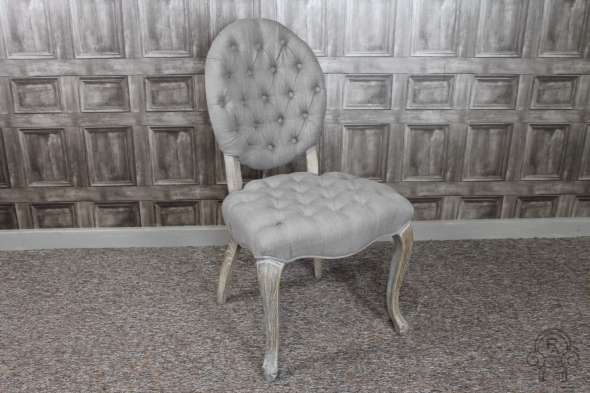 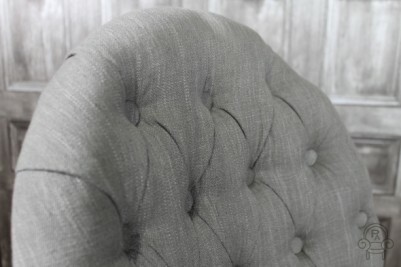 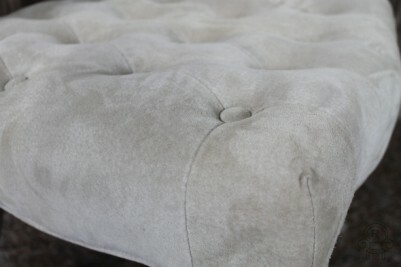 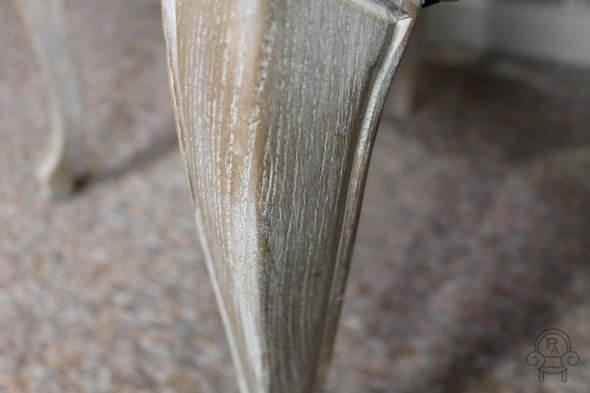 There are four colours available in the 'Alice' range: old white and silver grey in suedette, and antique linen and mushroom grey in a linen upholstery. 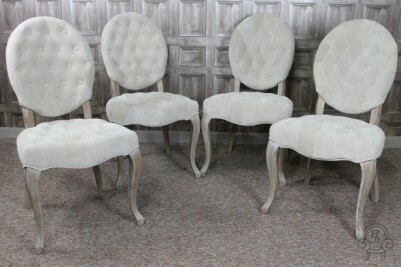 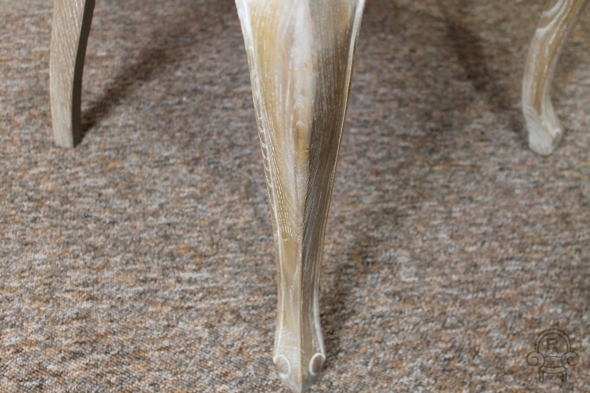 Please note other items pictured are not included in this listing. 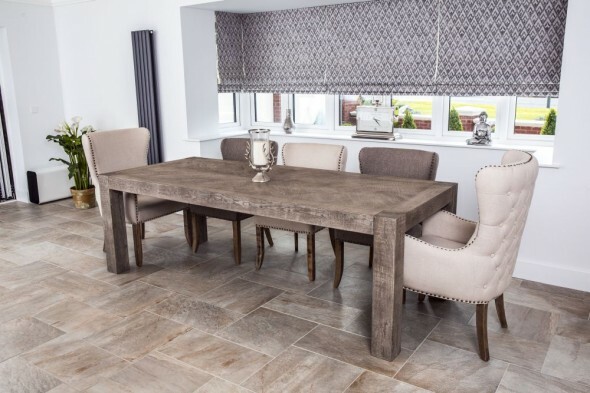 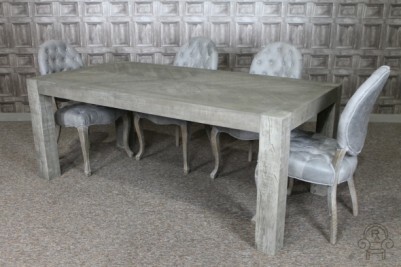 The table photographed is our 'Herringbone' table, which is available in three sizes; it is pictured here with the silver grey 'Alice' chairs.